Passengers with hidden disabilities can now avail of a lanyard indicating that they may need extra support when travelling through Cork Airport. The 'Sunflower Lanyard' initiative, already in use in global airports including Heathrow and Gatwick, allows passengers to discreetly identify themselves to staff. Lanyards are available at the OCS deck in the airport terminal, and staff will be trained to recognise them offer appropriate help. 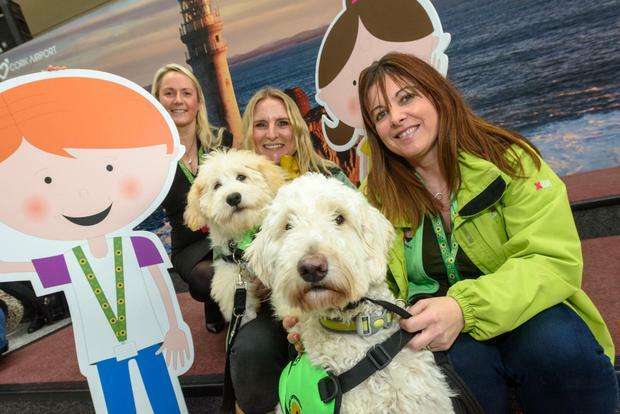 "We hope that the introduction of the lanyard will make it a little easier for those of our passengers in need of little more assistance on their airport journey," said Deirdre O’Donovan, the airport's Operations Manager. Hidden disabilities include Autism Spectrum Disorder, Epilepsy and acquired brain injuries - conditions that may not be visible to others, but which have a major impact on the lives of those who have them. Passengers with such disabilities can find travel tricky to navigate, especially queues or crowds at pinch points like security and passport control. "Living with any disability can be difficult, but when the disability is not visible unfortunately stigma can be attached," commented Conor Culkin of Epilepsy Ireland, who praised Cork Airport's initiative and said he hoped it would lead to further involvement with hidden disability charities. In recent years, Irish airports have improved in helping passengers with hidden disabilities - with Shannon Airport the first in Europe to open a "sensory room" providing a soothing space, for example (see video above). Dublin has plans to open a similar facility this year. Both airports offer wristbands - and, in Dublin's case, an 'Important Flyer' lanyard - that can be shown to staff if special assistance is required. Cork Airport’s initiative is part of a Hidden Disabilities programme that recently named the Shine Centre for Autism as its 2018 Charity of the Year, with a commitment to build on its existing autism initiatives. Pól Ó Conghaile: Do Irish airports provide for passengers with hidden disabilities? Watch: Have you seen Shannon's sensory room for passengers with autism?